This item is the Alaskan Jr. Camp Stove ONLY. Does NOT include the optional equipment found in the Standard and Deluxe Packages (see below). 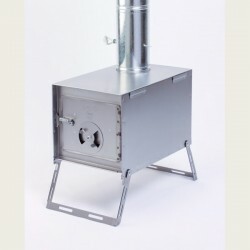 As rugged as the Alaskan stove, the Alaskan Junior has the same front as the Alaskan, differing only in its depth, which is 18 inches instead of 24, meaning it is lighter and burns a four inch shorter piece of wood. 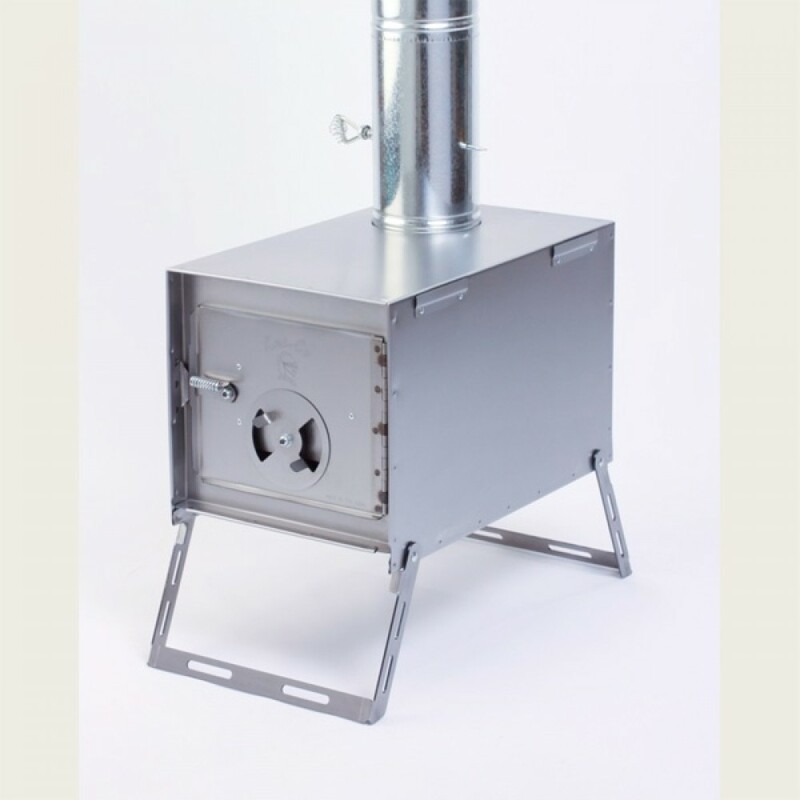 Each stove is handmade in the United States to insure top quality. It can be set up with optional attachments on two sides (tables and/or watertanks), tapered pipe, spark arrester, and a stack robber. You choose your own arrangement or save money with one of our package deals. The tables can sit on top of the water tanks. Most items fit inside the stove for easy packing and storage. This item is the Alaskan Jr. Camp Stove Only. Please Note: the image shows the Alaskan Jr. Camp Stove with the optional Damper and Damper Sleeve attached (These items are Not Included).